Sophomore albums can be a figurative bear. A singer-songwriter has his or her entire life to write and develop the songs on the first release, and then about a year to write and record the follow-up, often under very stressful circumstances. As a result, the British singer-songwriter decided to deviate from the usual career trajectory and release an all-covers album for her second set, though one with a twist: the songs are all written by men. The project encompassed recording so many songs, in fact, that at one point she contemplated making it a double-CD. “There are so many demos and extra tracks,” she said. “Getting them down to 16 for the special edition was a real battle.” (It reminds me of the lines “deadlines and commitments/what to leave in, what to leave out” from Bob Seger’s “Against the Wind.”) Among the songs she left behind: Jackson Browne’s “Late for the Sky,” which she demoed but decided not to move forward with. But there’s no quibbling with the final selections, which on the regular edition range from the obscure (Jimmy Webb’s “P.F. Sloan”) to the well-known (Hall & Oates’ “Sara Smile”), and include some truly jaw-dropping performances – Isaac Hayes’ “Soulsville” is one. The special edition, which features four additional songs, adds a lilting, lovely reading of Bob Marley’s “Soul Rebel” and a spine-tingling rendition of Neil Young’s “A Man Needs a Maid.” Other highlights include Clifford T. Ward’s longing “Home Thoughts from Abroad” and a song I’ve taken to singing to my cat, Todd Rundgren’s “Be Nice to Me.” Each time through you’re guaranteed to hear something new, whether in the shading of her vocals or in the instrumental accompaniment. 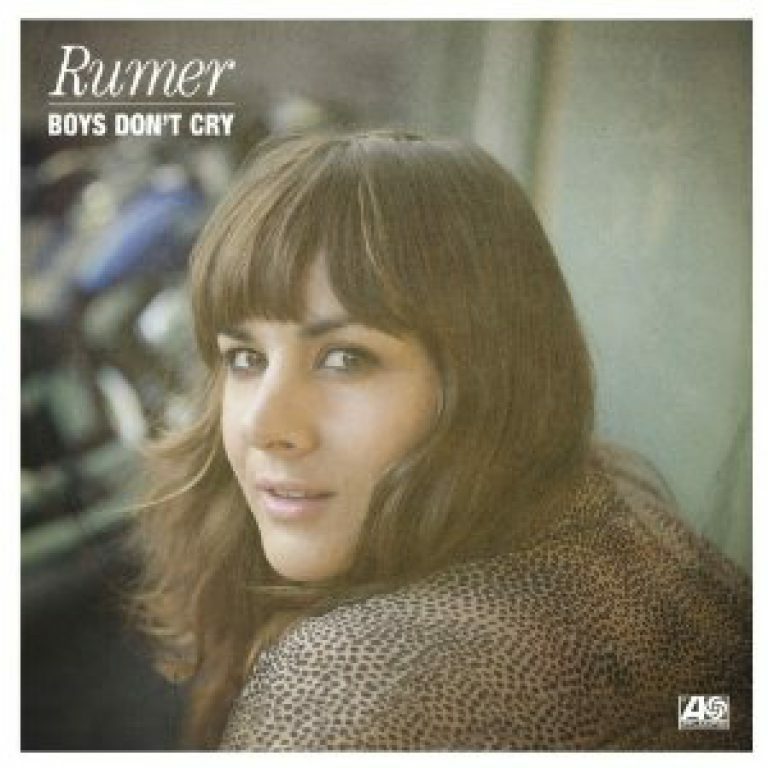 It’s near-impossible to write about Rumer without mentioning Karen Carpenter, of course, given the remarkable similarities between their vocals. There are times when her voice dips into a lower register, such as Richie Havens’ “It Could Be the First Day” and Paul Williams’ “Travelin’ Boy” – that the resemblance is so uncanny that one could be forgiven for thinking an unreleased Carpenters song had been slipped into the mix. Even in those moments, however, or during the well-known numbers, she immerses herself in the emotions and meanings of the songs to such an extent that comparisons and original versions fade away. She doesn‘t just make them her own, she makes you forget everything except the song at hand. In short, listening to Boys Don’t Cry is like stepping through a time warp and arriving in the post-Woodstock, pre-Watergate era of adult pop, soft rock and bell-bottom jeans.